Located between Central Square and MIT just off Massachusetts Ave lies University Park. 100 Landsdowne is a purpose built, managed apartment building designed to cater to the MIT crowd. They feature solid construction with good insulation and top of the line finishes. On site property management and maintenance means all your potential issues will be attended to expeditiously. 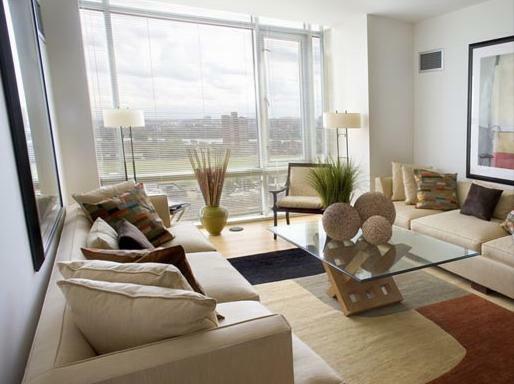 They offer Garage Parking, 2 fitness studios, and shuttle transportation for the tenants. MBTA transportation is located within a short walk of the building including Red Line and Bus stops. There are multiple grocery stores including Whole Foods and Market Basket within walking distance and of course the great diversity of ethnic restaurants in Central Square. Contact us for more information about the 100 Landsdown units listed below or another Cambridge apartment on our site. Sign up for a free account to save all of your favorite real estate listings.